Place your desktop computer CPU on the Mobile CPU Holder with casters and roll your way to convenient CPU cord connections. The Mobile CPU Holder, which supports a vertical CPU, expands to suit any desktop computer CPU between 6-1/2 inches and 9-1/2 inches and supports CPUs up to 60 pounds. 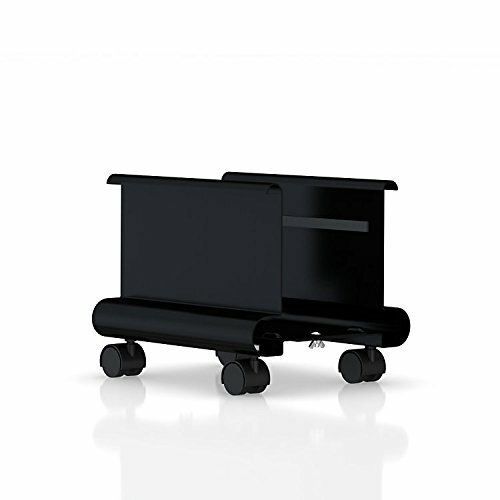 • 6.5"-9.5"W x 10"H x 12"D.
• Wheeled design for easy mobility. • Accommodates CPUs 6.5"-9.5" wide. • Max supported weight is 60 pounds. If you have any questions about this product by Herman Miller, contact us by completing and submitting the form below. If you are looking for a specif part number, please include it with your message.